In the industrial world of 2017, the printing process of variable data is possible through the introduction of digital printing. It’s not a matter of chance if AmonCode has been founded in this specific period of time. The ability to print variable data is a mandatory prerequisite to manage an Amon code (variable QR codes). Traditionally packaging industry uses printing machines such as rotogravure, flexo or offset. Thus, it is possible to reproduce an image over and over again, in great volumes and at high speed, necessary in mass production. The huge advantage is, at the same time, it’s biggest limit: the printed image is always the same, hence it cannot contain any variable data. Fortunately, today exists a vast variety of digital printers available on the market; from entry level models for small productions, to printing systems that can be connected to already existing printing lines (Domino, Videojet, Kodak etc.) and to completely digital printers, such as HP Indigo. 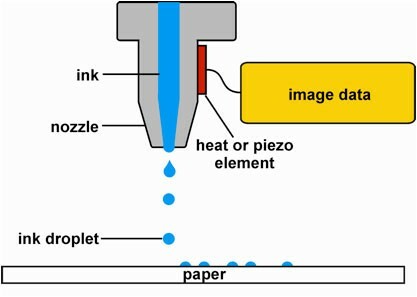 In a simplified way, the technology of industrial digital printing doesn’t differ much from the one of an ordinary printer: a software manages a printer head, which manages the expulsion of tiny drops of ink; through this process, becomes possible to make the drop fall exactly where we want to. Based on some principles of physics, the ink is “shot out” through a nozzle, that creates drops (measured in terms of microns), which are put on the material; all these precisely directed drops will create the wanted design. When speaking about “variable QR codes”, we refer to a graphic element that contains varying informations and that cannot be repeated twice. To manage this unique dynamic and always changing data and to print it in QR code form, the only technology flexible enough to be applied in this scenario is digital printing. Based on what has been presented at one of the most important trade fairs, DRUPA 2016 in Düsseldorf, we can confirm that digital printing machines had been widely tested in their abilities with a huge increase in their applications, especially in the Iot (Internet of things) field. It is believed that thanks to this technology, daily goods and items could literally “talk” to customers and create a unique shopping experience. The greatest experts in trends and marketing foresee that by 2020, Internet of Things will be an everyday reality; hence, digital printing and variable data through dynamic QR codes are essential steps that will lead your business straightforward to this.